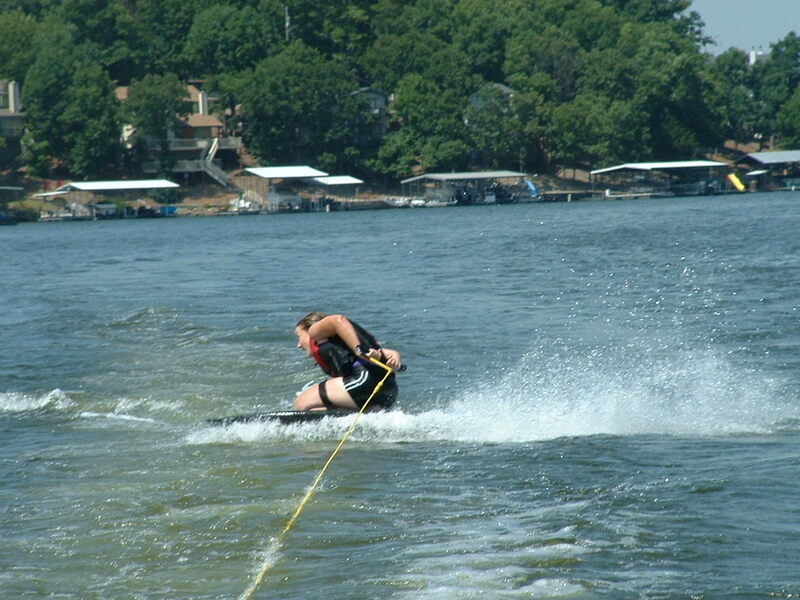 We spent Monday teaching the nieces and nephews how to kneeboard. I was excited that they wanted to learn and I was surprised at how easily most of them were able to master it. By Tuesday some of them were even venturing out of the wake and trying 360’s. 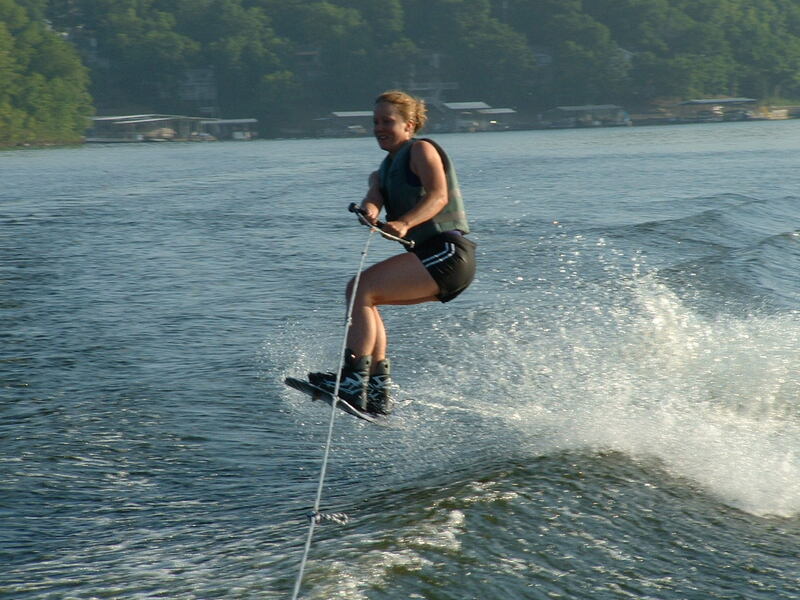 On that second day we went out early (hence the beautiful sunrise pictures) for some adult time on the lake and after a few runs we started teaching the kids to wakeboard. All of the nieces and nephews between 8 & 13 wanted to try it so we spent the better part of the morning giving each a turn. Most of the time I was in the water with them, trying to get them situated and ready to go while Ritchie drove the boat. It became appa rent that most of them would not meet with success on this last afternoon on the lake so we focused our efforts on the ones with the most promise. Not considering ourselves wakeboard experts on the first place, Ritchie and I were trying everything we could think of to teach the two oldest boys how to get out of the water. Joe (names have been changed :)) actually caught on pretty quickly which put the pressure on Ian, his older brother. Midway through the afternoon Ian had had 2 half hour turns and he still hadn’t been able to get up. He was so intent on success that he patiently waited for the other kids to take their turns and he hopped back into t he water saying “I can do this.” The sun was starting to set and we wanted so badly for him to succeed. He used two more of his turns to no avail and finally with 20 minutes left before we needed to return the boat, we realized that he was coming out of the water but not turning his board quickly enough. We gave him this one last suggestion and hoped for the best. I’m not sure if our grins were wider or if his w as when he got up that next try. 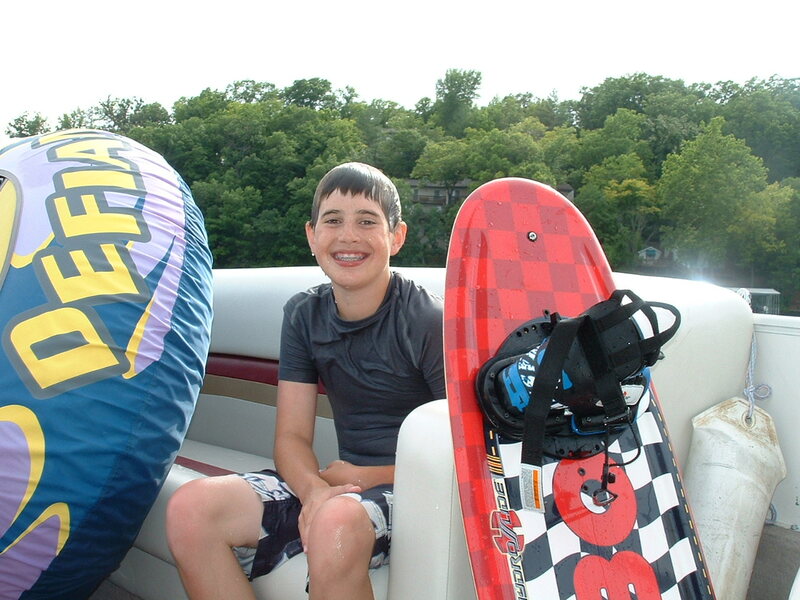 He had spent at least 2 hours in the water, drinking liters of the lake and suffering all manner of bruises and injury from fall after fall but all of that didn’t matter when, according to Ritchie, through “sheer determination” he became a wakeboarder. It had been so fun to help him, cheer him on and finally see him succeed. The look on his face was priceless and though we’d had a great two days, those last 20 minutes on the lake were our favorite. And I was grateful I’d spent all those hours learning because it was even sweeter to learn it all over again with him. That’s so cute! Sounds like you had fun. Can’t wait to see you! 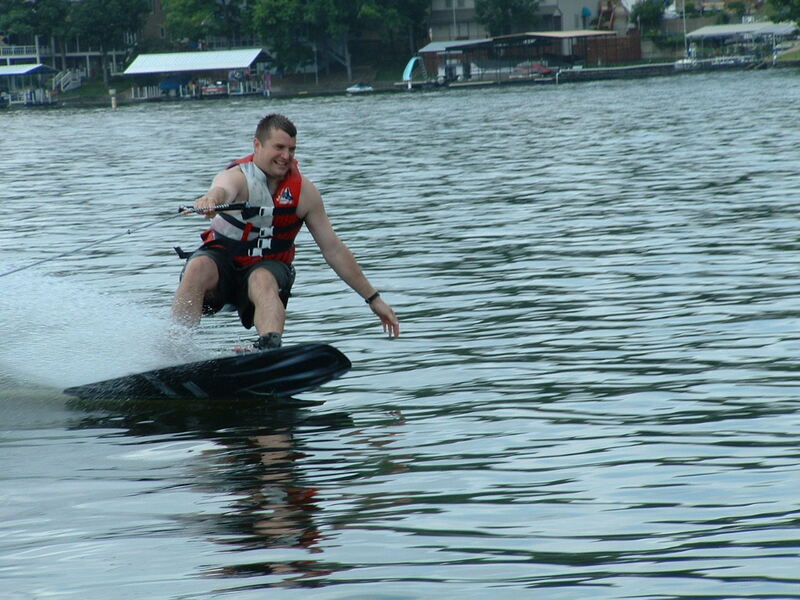 Seeing you on that kneeboard brings back fond memories – you always HAVE been good at doing those 360s! I can’t wait to see you, either!